Sprache als Schlüssel zum Recht. 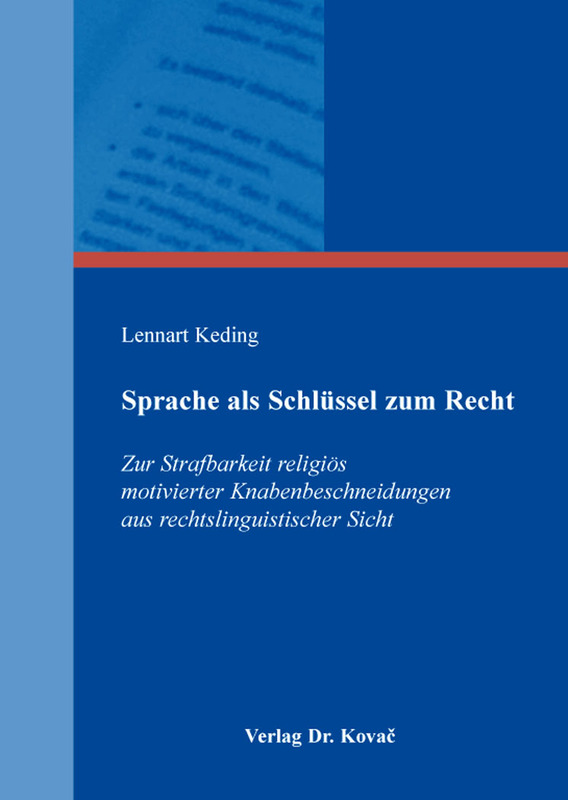 Forschungsarbeit (english) von Lennart Keding, Verlag Dr. Kovač 2016, 116 S.
Legal linguistics is concerned primarily with language as a medium of modern constitutional states as well as a mediator of social and the core legal methodology (see www.illa.online for more details). In this respect, the work at hand tries to answer the following questions: First, why is legal language so difficult to comprehend for everyday people? In order to answer this paradigm, fundamental linguistic questions concerned with the construction of the world through language as well as the construction of knowledge through language are approached. Secondly, what role does language play in the constitution of legally binding norms and what kind of speech acts can be identified hereto? For this purpose the author questions different legal methodologies, concentrating on the texturing theory of law (“Strukturierende Rechtslehre”) of Müller (1984) as well as the classification of speech acts in a legal discourse by Felder (2003) and applies them to an exemplary case from 2011 as well as 2012. This case was concerned with the culpability of religiously-motivated circumcisions. Using this qualitative approach, a contribution is made to answer general questions of (mis)understanding legal language as well as forms of communication in a law discourse.